Data Mining with R: Learning with Case Studies, Second Edition uses practical examples to illustrate the power of R and data mining. Providing an extensive update to the best-selling first edition, this new edition is divided into two parts. 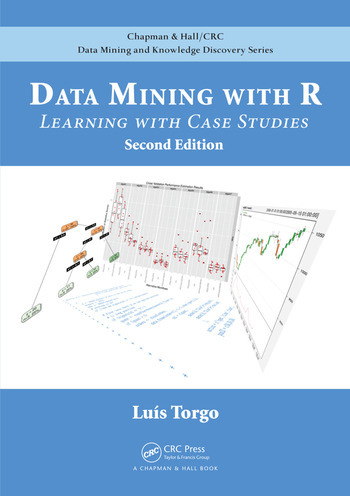 The first part will feature introductory material, including a new chapter that provides an introduction to data mining, to complement the already existing introduction to R. The second part includes case studies, and the new edition strongly revises the R code of the case studies making it more up-to-date with recent packages that have emerged in R.
Luís Torgo is an associate professor in the Department of Computer Science at the University of Porto in Portugal. He teaches Data Mining in R in the NYU Stern School of Business’ MS in Business Analytics program. An active researcher in machine learning and data mining for more than 20 years, Dr. Torgo is also a researcher in the Laboratory of Artificial Intelligence and Data Analysis (LIAAD) of INESC Porto LA.